The importance of students choosing careers that are in alignment with their aptitude and passion is the key to avoiding confusion later on in life. 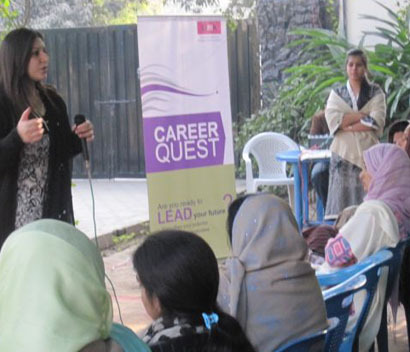 Putting this concept into action CIMA Career Quest was conducted in more than 50 Intermediate and O/A Level institutions across Karachi, Lahore and Islamabad focusing on career planning and awareness of CIMA. F-17, Block 8, Clifton, Karachi.